Is there a better alternative to Countries and Capitals? Is Countries and Capitals really the best app in Teaching Tools category? Will Countries and Capitals work good on macOS 10.13.4? 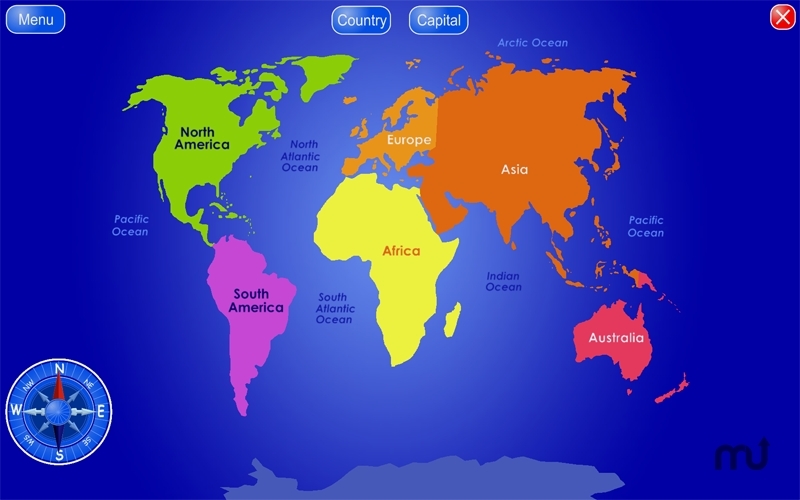 Countries and Capitals is a helpful geographical memorization tool. Countries and Capitals needs a rating. Be the first to rate this app and get the discussion started! Is it easy memorizing countries' names and locations? Now it's simple with the help of Countries and Capitals! Study countries just on a certain continent or worldwide all at once. Additionally, the program is an indispensable simple atlas which will always be at hand. In atlas mode, just point the mouse to learn a country's name, capital and flag. This kind of edutainment software presents a great opportunity to keep your child occupied, enhancing their knowledge in using computers and various other aspects. Using a delightful and intuitive interface complete with sound effects and background music. The program will give you and your children knowledge that will always come in handy!